Largely dependent on tourists who come for the sun, sand, surf and ocean waters, beaches throughout the Caribbean region are being lost due to erosion. The causes are several and varied – rising sea levels due to climate warming; runaway, poorly conceived and executed land and property development, along with rapid, uncontrolled urbanization; deforestation; mindless, commonplace littering and dumping of trash and other waste, and ineffective or non-existent institutional and local community preventive capacity, plans, and action – loom large among them. Even those cities and communities with the most in the way of tourist revenues and some semblance of civic pride, with some sort of beach and coastal protection or conservation plan, such as Cancun, Mexico, are coming out on the losing side. Beach areas and surrounding communities that aren’t tourist destinations are suffering to a greater degree. Once healthy, vital beaches, such as El Gringo outside the industrial city of Bajos de Haina in the Dominican Republic are polluted and filled with trash (much of it biodegradable plastic). In addition to the loss of marine life and ecosystems, locals have lost or are losing the potential benefits of a valuable local recreational and commercial resource. Led by Cuban marine scientists, who have been active leaders addressing the problem both in their home country and regionally, members of the 25-nation Association of Caribbean States (ACS) are banding together to come up with region-wide solutions. The prospect of $4.5 million in voluntary funding from the Republic of South Korea may enable them to realize their plan. Working at the recently established Marine Science Institute of Cuba, geographer Luis Juanes is one of the scientists raising public awareness about coastal conservation projects and programs. 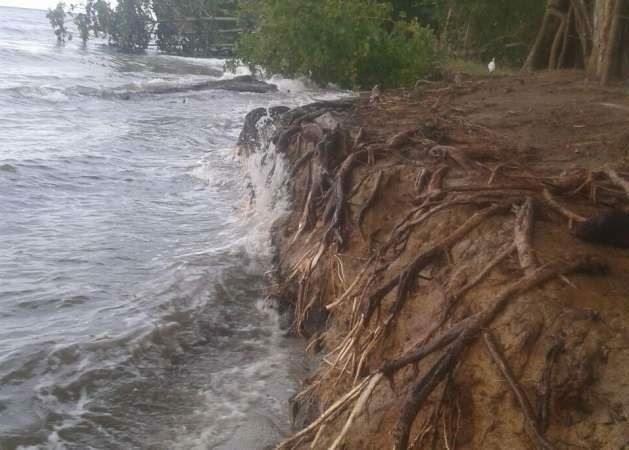 Beach and coastal erosion are widespread and irreversible throughout the Caribbean-Latin American region, including in Varadero, Cuba’s premier international ocean and beach tourist destination, IPS’s Ivet González reports. Despite their high socioeconomic value, erosion of beaches and what’s left of mangrove ecosystems throughout the Caribbean also leaves coastal and inland cities, towns, and communities more vulnerable to tropical storms, storm surges and the more gradual, continual inundation of seawater due to sea level rise. Juanes is participating on behalf of the Marine Science Institute and Cuba in an ACS project to protect and conserve sandy beaches region-wide. Dubbed “Impact of climate change on the sandy coasts of the Caribbean: Alternatives for its control and resilience“ could be launched this year if negotiations between ACS and principal project donor the International Cooperation Agency of South Korea are successful. 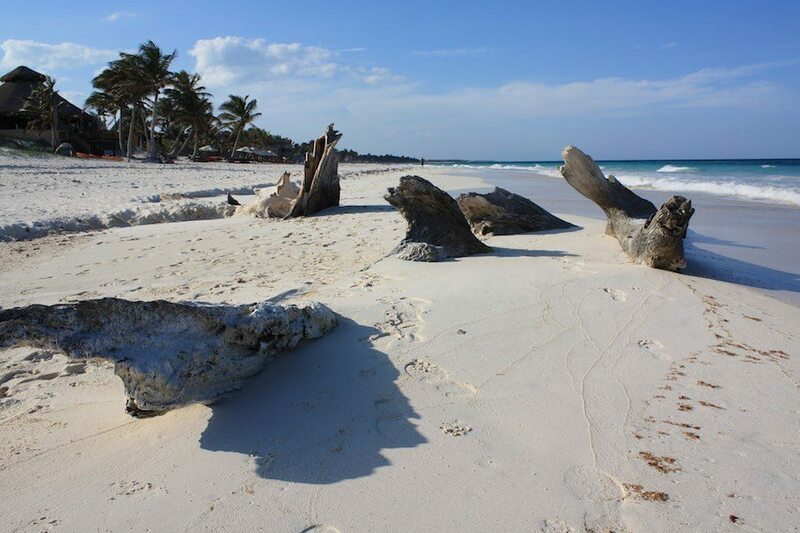 “Caribbean beaches have an irreversible tendency to erosion,” Juanes told IPS. The main causes, he continued, “are associated with misguided human action in coastal areas, such as the extraction of sand for the construction industry and the building of tourism installations on dunes.“ Rising sea levels due to rapid climate warming are another existential threat. Founded in 1994, in 2016 the ACS initially approved Cuba’s proposal to launch the regional beach conservation initiative as part of a broader climate change adaptation program. The plan was ratified last March. Other aspects include projects to reduce invasion of Sargassum seaweeds and stem the proliferation of invasive species, most notably the lionfish. ACS is raising so-called cooperation funds to mitigate and adapt to the new climate scenario. To date, the beach erosion prevention project has received around a quarter of a million dollars from the Netherlands and Turkey, Juanes said. The prospective US$4.5 million from South Korea are considered sufficient to achieve the goals that have been out over the course of the planned four-year project term. In addition to Cuba, Antigua and Barbuda, Colombia, Cuba, Dominica, Dominican Republic, Guyana, Haiti, Jamaica, Saint Vincent, Saint Lucía, and Trinidad and Tobago have expressed interest in participating in the initiative should it be launched. 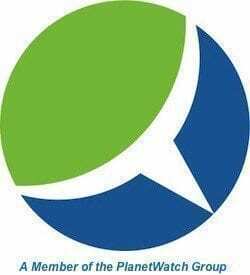 The program plan calls for the establishment of “a regional network to monitor erosion, developing a coastal engineering manual, training technical and professional staff, generating scientific exchanges, and providing equipment, among other objectives,” Gonzalez reports for IPS. “Part of the topics we are discussing with the Koreans is the collaboration of scientific institutions from that country to contribute a basic infrastructure with some modern technologies such as drones and coastal radars,“ Juanes was quoted. One of the initiative’s key goals is to obtain the data necessary to assess the effects of coastal erosion throughout the Greater Caribbean out to 2100. It would then be up to ACS members to follow through and make use of project scientists’ data, information and recommendations to craft and effectively carry out measures to ensure sustainable use of the Caribbean’s sandy beaches, the principal natural resource of the region’s core tourism industry.